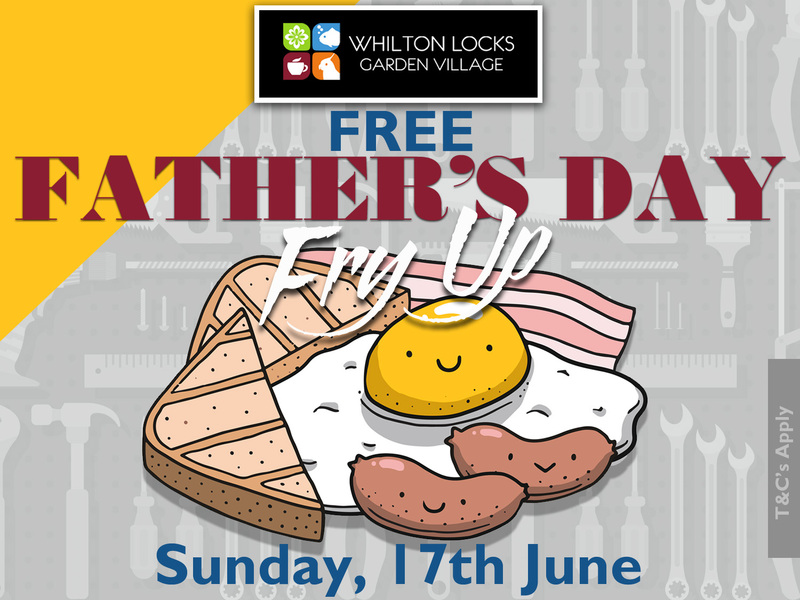 You can Treat your Dad to a FREE Father’s Day Fry Up at Canalside at Whilton Locks Garden Village. 2x bacon, 2x sausage, 2x fried eggs, beans, tomatoes, mushrooms and 2x toast for FREE, for Dad. Sounds tasty doesn’t it? Simply treat your family for Breakfast at Canalside at Whilton Locks Garden Village. Spend £16, or over, to receive a FREE Father’s Day Fry Up for your Dad – worth £9.95 (Our Head Gardeners Breakfast).